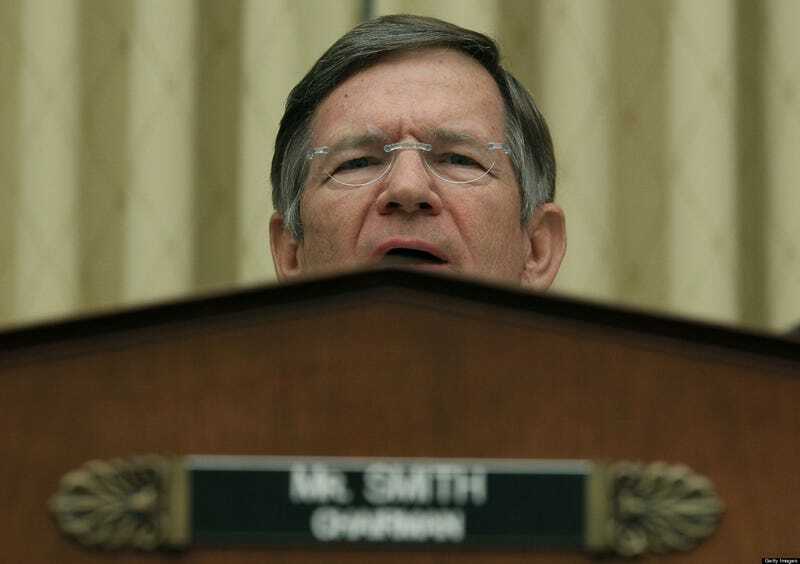 Rep. Lamar Smith (R-TX), the Chairman of the House Science Committee on Science, Space and Technology has repeatedly denounced the National Science Foundation for squandering taxpayer money on frivolous research. Now he's gone a step further, demanding personal political scrutiny of peer-reviewed research grants. Four times this past summer…. two congressional staffers spent hours poring over material relating to 20 research projects that NSF has funded over the past decade. Each folder contained confidential information that included the initial application, reviewer comments on its merit, correspondence between program officers and principal investigators, and any other information that had helped NSF decide to fund the project. The visits from the staffers, who work for the U.S. House of Representatives committee that oversees NSF, were an unprecedented—and some say bizarre—intrusion into the much admired process that NSF has used for more than 60 years to award research grants. The Republican aides were looking for anything that Representative Lamar Smith….could use to support his ongoing campaign to demonstrate how the $7 billion research agency is "wasting" taxpayer dollars on frivolous or low-priority projects, particularly in the social sciences. There's no end in sight: The visits are expected to continue into the fall, because NSF has acceded—after some resistance—to Smith's request to make available information on an additional 30 awards. As Mervis notes, Smith's request created a serious dilemma for NSF Director France Córdova. While Congress has the authority to obtain information as part of its job to oversee federal agencies, the NSF promises researchers that the peer-review process of their proposals will remain confidential. So Córdova hammered out a compromise. Smith's staffers could review the grants as long as the names of the reviewers were redacted and the material would remain at NSF headquarters. Staffers could take notes, but not make photocopies. Still, articles about the NSF research projects under review have been appearing in conservative news outlets, with derogatory statements provided by Smith and, in at least two instances, leaks of confidential material that was part of the NSF peer review process. The only issue with them appears to be that you, personally, think that the grants sound wasteful based on your understanding of their titles and purpose. Seeking to substitute your judgment for the determinations of NSF's merit review process is the antithesis of the successful principles our nation has relied on to make our research investment decisions. The path you are going down risks becoming a textbook example of political judgment trumping expert judgment. Your efforts threaten to compromise the anonymity that is central to the frank and open exchange of comments and critiques during the review process, thus compromising the integrity of the peer-review process. As I asked you last year, how can future participants in the peer-review process have conﬁdence that their views will remain conﬁdential….As Chairman of the Committee, it is incumbent upon you to take a broad and long view of our work as it impacts the nation's research enterprise and the Committee's own standing. If your ultimate goal is to cut funding for social and behavioral sciences — you have already made several such efforts and I have made my opposition clear — I respect your right to try to make that case as Chairman. But please do not compromise the integrity of NSF's merit review system as part of this campaign. At the very least, Smith is finding plenty of material to portray himself as champion against frivolous spending. One such project was a $300,000 grant received by 2009 to study the feedback system that allows humans to control a vehicle, in this case a bicycle. "The NSF has gone off the road, and taxpayers are paying for it," Smith told the press. "Scarce public funds were awarded for an ill-conceived study to improve bicycle designs. Peddling their proposal, the researchers asserted that bicycle riding dynamics are 'poorly understood.' Yet bicycling is a $65 billion per year global industry that invests hundreds of millions in research and development. What's really poorly understood is why the NSF wasted $300,000 of taxpayer money on this project." What's really poorly understood is why Smith doesn't even seem inclined to speak with the scientists conducting the research. As ScienceInsider reports, the recipient of that grant— Mont Hubbard an emeritus professor of mechanical engineering at the University of California, Davis—has a ready answer to Smith's question about how his research could possibly serve the national interest. "It's easy to learn to ride a bicycle, but it's hard to explain how we do it," Hubbard says. His broader research into operator control of mechanical systems has applications across many areas, he explains. Substitute "pilot" for "rider" and "airplane" for "bicycle," he says, and it's clear that helping humans do a better job of manipulating machines has the potential to greatly improve performance, reduce safety risks, and promote economic growth.